What information do you need to set me up for testing? How much product do I have to send you for testing? How should I select my flower samples? How should I package my samples for testing? Do I have to put my product into quarantine? What do I do if my test results do not show after migrating to Leaf Data? Which values from my test certificate match to the fields showing in Leaf Data Systems? How should I generate my Leaf manifest for sample pick up? How can I see what residual solvents were found in my sample? How do I search for a specific result? How do I add a photo to my test certificate? How do I make my results public so that retailers, consumers, and buyers can see them without logging in? How do I get QR codes that link to my results? Where can I bring my samples? Can you come get my samples for free? How do I view my results on your website? I see my results on the website, but why doesn’t my lot show QA Completed in my traceability software? What do I do if my lot fails? What is the recommended sample size for pesticide residue screening? How should pesticide samples be handled to avoid contamination? 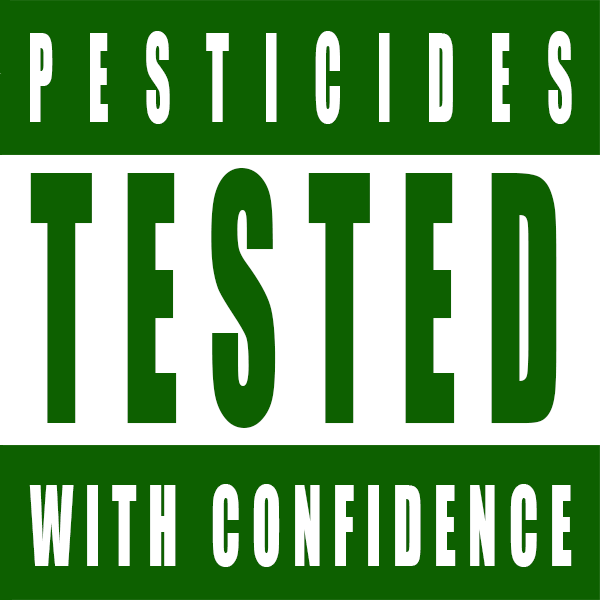 What pesticides do you test for? How do you test for pesticides?